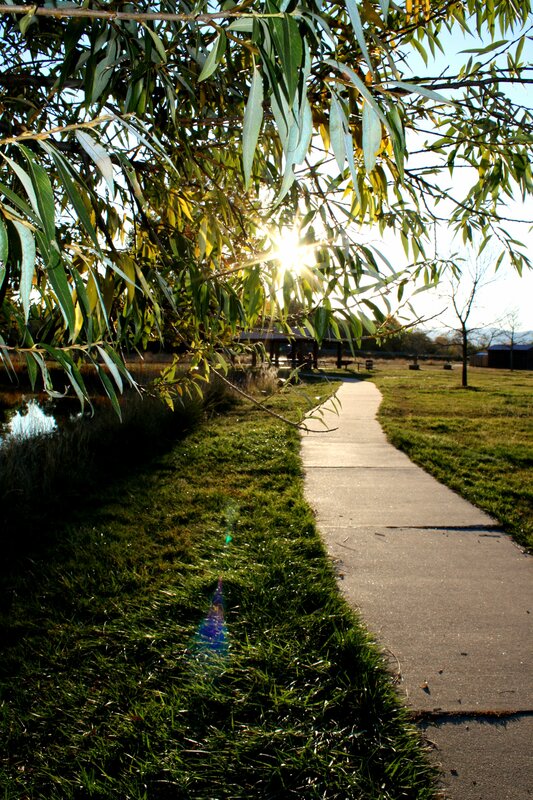 Free high resolution photo of a cement paved bike path, walkway or sidewalk winding through a park or open space. It’s always nice for bicycles to have a paved path to ride on. You can see green grass and a tree with leaves in the foreground. There is a lake off to the left and you can see the setting sun shining through the tree leaves. Free picture for any use.